London: Printed by Henry Baldwin, for Charles Dilly, in The Poultry, 1791. First edition, first issue of both volumes of the most celebrated biography in the English language, which was published on May 16, 1791 in a print run of only 1,750 copies. Quarto, bound in contemporary half calf over marbled boards. Frontispiece portrait of Samuel Johnson, engraved by J. Heath after the Sir Joshua Reynolds (1756) painting. 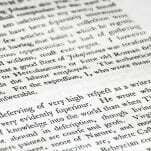 Volume one is the first state with the word “give” reading on page 135, line 10. First state of volume two, with two engraved illustrations, “The Round Robin” at p. 92, and the “facsimiles” of Dr. Johnson’s handwriting on p. 588. In near fine condition with light toning, an excellent example of this landmark work. “Boswell excelled in insight into human nature and in ability to dramatize a situation… It was a crucial part of Boswell’s magic to give significance and vitality to the apparently trivial; it is this trait, together with his notable accuracy and unparalleled completeness of portraiture, that made him… ‘the Shakespeare of biographers” (Baugh et al., 1065-66). 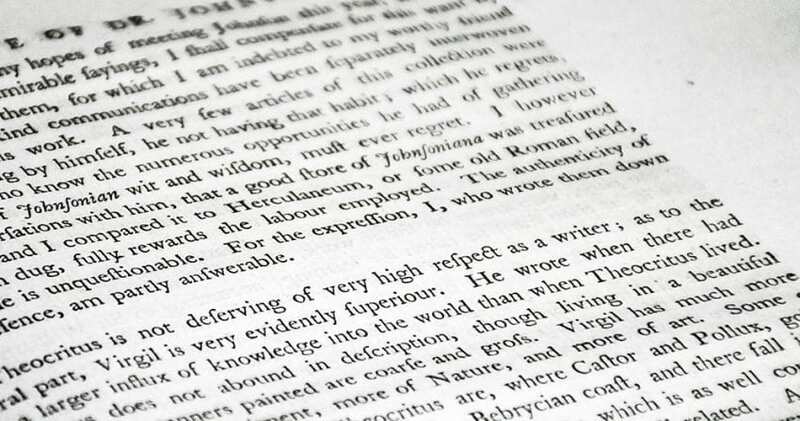 "One of Western literature's most germinal achievements: unprecedented in its time in its depth of research and its extensive use of private correspondence and recorded conversation..." (Gordon Turnbull, Oxford DNB). 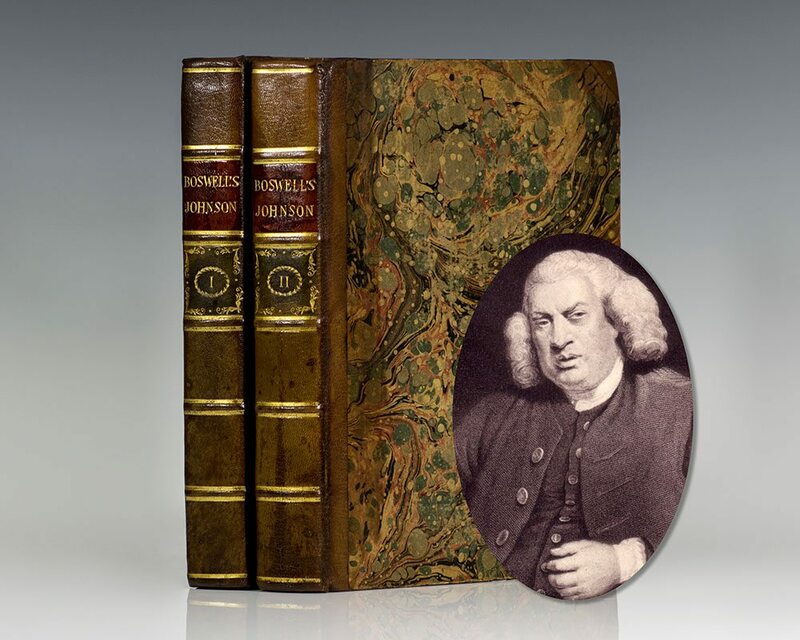 The Life of Samuel Johnson. 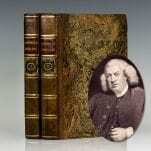 Boswell, James; Illustrations by Sir Joshua Reynolds; Edited by Henry Morley. London: George Routledge and Sons, 1891. 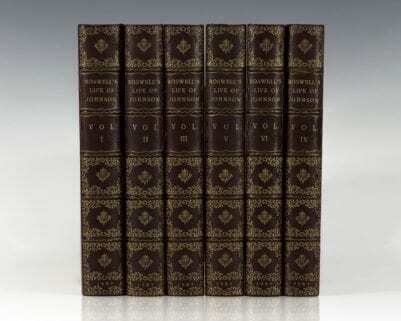 Octavo, 5 volumes. Three quarters leather over marbled boards, gilt titles and tooling to the spine, raised bands, gilt topstain. Frontispiece of Samuel Johnson in each volume, finely illustrated by Joshua Reynolds. In near fine condition. An attractively bound set.